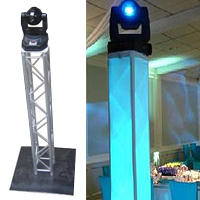 DuraTruss Single Tube Trussing for DJs, Tradeshows, Stage Use and More! 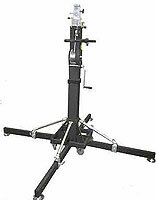 Chicago DJ Equipment Online Superstore - SINGLE TUBE TRUSSING AT THE LOWEST PRICES! 6.56ft. 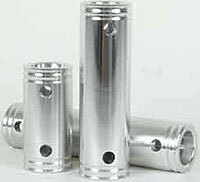 Segment, Conical Connectors, Outer Diameter Tubing: 2", Wall Thickness: 0.008", Weight: 20lbs. 9.84ft. Segment, Conical Connectors, Outer Diameter Tubing: 2", Wall Thickness: 0.008", Weight: 30lbs. 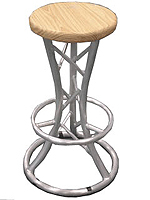 Multi-junction cube, allows connection of square truss to Ibeam truss or single pole, includes connection hardware, unit weight: 1lb. Plug/cap for F31/F32/F33/F34/F44P series, end plug/cap to give open ends of a truss a finished look. unit weight: 1lb. Half conical coupler for F31/F32/F33/F34/F44P series, conical coupler with coupler pin and R-clip. unit weight: 1lb. 3/8" extended half conical coupler, half conical coupler with allen bolt, to add connection side to a ST-UJB, pack in 4, unit weight: 1lb. Hinge Used to create hinge block with ground support system, unit weight: 2lbs. 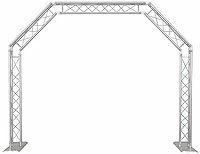 This arch style truss with its 135° corners offers even greater lighting angle options. 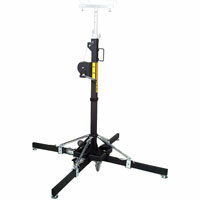 Aluminum 2" wrap around medium duty clamp, max weight capacity 850lbs. Aluminum 2" swivel jointed wrap-around clamp, max weight capacity 1100lbs. 2" wraparound light duty clamp, max weight capacity 250lbs. 13" spacer with fixed clamp, max weight capacity 1100lbs. Heavy duty wrap around hook style clamp, max capacity 550lbs. 1 1/3" aluminum light duty wrap around clamp, max weight capacity 220lbs. Aluminum 2" wrap around light duty clamp, max capacity 220lbs. Aluminum 2" wrap around heavy duty clamp, max weight capacity 1100lbs. Fixed LCD/Plasma Mount, fits 23”-46” screens. Top quality plasma mounts, works great with Global Truss products. Perfect for displays or nightclub use. Easy to install or relocate. Commercial grade quality. 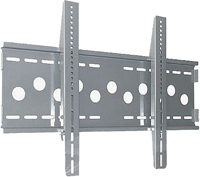 Tilt LCD/Plasma Mount, fits 36”-55” screens. Top quality plasma mounts, works great with Global Truss products. Perfect for displays or nightclub use. Easy to install or relocate. Commercial grade quality. 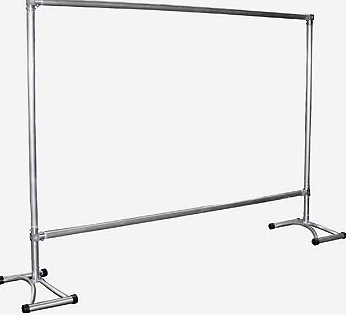 Tilt LCD/Plasma Mount, fits 42”-60” screens. Top quality plasma mounts, works great with Global Truss products. 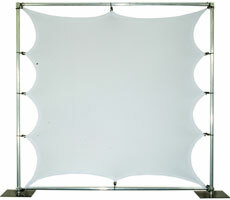 Perfect for displays or nightclub use. Easy to install or relocate. Commercial grade quality. 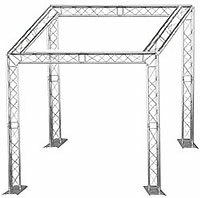 This system includes a 6.56 ft SQ-4112 box truss and a 3x3 ft baseplate. 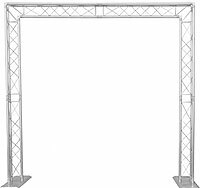 This system includes a 8.20 ft SQ-4113 box truss and a 3x3 ft baseplate. 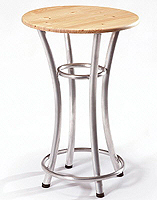 This truss-style table is made of Global Truss style high quality trussing and features a stained finish wood top. Sporting an edgy, modern design, the Truss Catalog Rack offers five tiers of display trays that let merchants present all kinds of printed materials in the best possible light.